There's a shakeup at Soylent, the Silicon Valley startup selling shakes and powders it says it has created to supplement meals. Cofounder Rob Rhinehart announced on Monday he is stepping down as CEO. Rhinehart, 29, will stay on as executive chairman. He is the company's largest shareholder. Bryan Crowley, who has served as the firm's president for the past year, will replace Rhinehart. "If you love something, set it free. Soylent and the people involved have become the loves of my life," Rhinehart wrote in a blog post, adding that his role has evolved as he's hired experts like scientists, managers and other executives to help grow the business. "After much deliberation I have decided to pass the reins to a new CEO with more management and industry experience. ... I am more motivated by the success of the company and brand than my own title." In 2013, Rhinehart launched Soylent as a food substitute marketed toward tech entrepreneurs. It was billed as a healthy, inexpensive alternative for people who didn't have time to eat. The company has raised more than $72 million from investors. But Soylent products have been met with mixed reviews, and nutritionists questioned its nutritional value. Last year, the company recalled its Soylent Bars after they made some customers sick. Most recently, Canada blocked sales of the company's product in October, citing it did not meet the Canadian Food Inspection Agency's requirements for meal replacements. 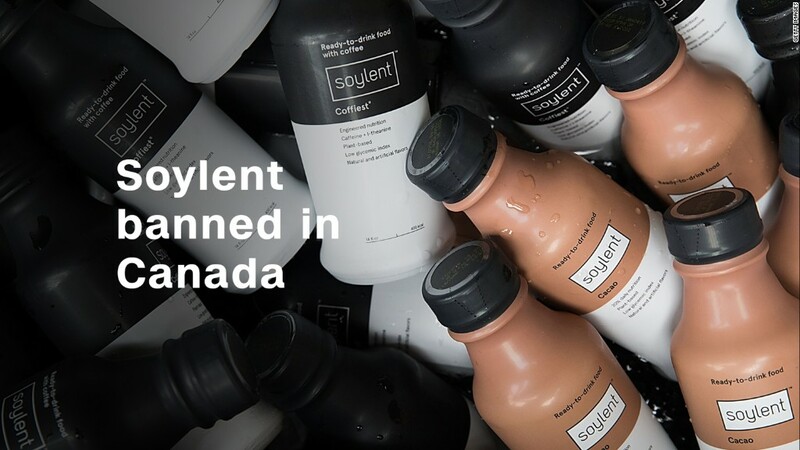 Soylent said at the time it "is working hard to resolve" Canadian regulators' concerns "as quickly as possible." In a joint blog post with Rhinehart, Crowley touched on some of the challenges the company has faced. "We've had a few along the way, but we've learned from each one and have come out on the other side smarter and more determined than ever," Crowley wrote.